Section 35P was introduced as part of the first tranche of national security laws in July 2014. It provided jail terms of five or 10 years for the unauthorised disclosure of information about an Asio “special intelligence operation”. It was an offence for disclosures to be made by “any person”. Journalists would be caught up as “persons who are recipients of unauthorised disclosure of information should they engage in any subsequent disclosure”. It applied to all such operations in perpetuity, so that journalists could never report on an SIO, no matter how historic the operation, nor if any criminal activities or harm to public safety had taken place. Attorney-General Brandis, Foreign Minister Julie Bishop and former Prime Minister Tony Abbott had already labelled Edward Snowden a “traitor” while ignoring the Snowden’s revelations of widespread illegal activity by intelligence agencies including thousands of breaches of privacy rules and appalling misuse of private information. His whistleblowing had come to light through legitimate journalism making the public aware of what governments have been doing in the name of the people. It would be difficult to dispute the public interest has been well served by these disclosures. But section 35P not only targeted whistleblowers but also the journalists who work with them. Combined with other amendments to the Asio Act and coupled with metadata retention, it now enables government agencies to secretly identify journalists’ confidential sources and prosecute both the journalist and the whistleblower for legitimate public interest journalism. The subsequent outcry has brought about some changes. Last minute amendments introduced a “recklessness” test to be applied for wilful disclosure of information, with the penalty at the upper-end of the scale. The Director of Public Prosecutions had to consider the public interest before proceeding with any charges. 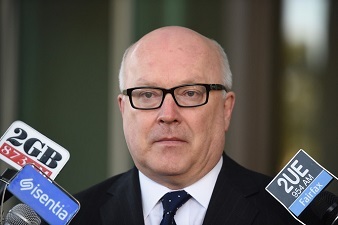 And Attorney-General Brandis required the DPP to consult the Attorney-General of the day before any prosecution of a journalist could occur. Of course, these so-called “safeguards” would only come about after publication, i.e. after the alleged offence. An added issue is that because an SIO is secret, it’s possible a journalist could publish a news story without knowing the operation has been a designated an SIO. The issue of s35P and its impact on journalists was referred by former Prime Minister Abbott to the Independent National Security Legislation Monitor Roger Gyles QC for consideration. MEAA, through the Australia’s Right To Know lobby group, participated in a joint submission to Gyles’ inquiry and appeared at the public hearing as well as provided answers to additional questions. In his report released on February 2, Gyles says he is not satisfied that s35P contains adequate safeguards for protecting the rights of individuals. Gyles found three flaws with the law: the absence of an “express harm requirement for breach… by a journalist or other third party”, the use of “recklessness” in the aggravated offence, and the prohibition of disclosure of information that is already in the public domain. Gyles also found that journalists would be prohibited from publishing “anywhere at any time” information relating to an a special intelligence operation, “regardless of whether it has any, or any continuing, operational significance and even if it discloses reprehensible conduct by Asio insiders”. Gyles had recommended that s35P be redrafted to create two classes of individual: “insiders” who belong to Asio, and third-party “outsiders” which would include journalists. The penalties remain unchanged: a basic offence attracts a penalty of five years imprisonment while an aggravated offence attracts 10 years’ jail time. For insiders the basic offence remains unchanged from the current s35P but for outsiders there is the proviso that any disclosure of information would have to include the additional physical element of endangering the health or safety of any person, or prejudicing the effective conduct of an SIO. The recklessness test remains: an aggravated offence for outsiders would be the knowledge that disclosure would endanger health and safety or harm the conduct of an operation. Gyles recommends the defence of prior publication be available. The defence requires the defendant satisfy the court that the information in question had previously been published (and that the defendant had not been directly or indirectly involved in the prior publication) and that the defendant had reasonable grounds to believe that the second publication was not damaging. Just how and when such information could get into the public domain is unclear. Gyles’ recommendations have been accepted by the Turnbull government.